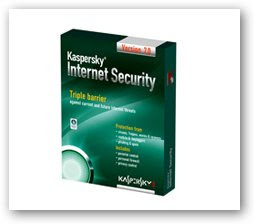 Before that i have given away the Kaspersky product keyfor downloaded but some of the keys invalid already.Now you can downloaded Kaspersky internet security 7 with free ( Dutch versions ),here i show you how to get this. 2.Enter you last name.email address and voucher code.The voucher code is sera6r8z . 3.There is a download link will sending to your register email address,then double click the download link and download the Kaspersky internet security 7. 4.You no need to enter the product key caused the key already build inside the software. Protection from all types of keyloggers. Detection of all types of rootkits. Personal firewall with an IDS / IPS system. Protection from leaks of confidential data. This free download have time limited,please grab as soon as possible. so tis is dutch version got any different with the English version?insidea all using dutch language? ?so how can i read the option and service in dutch language..lol..May i know the build in key will expire on which year?? You can download the kaspersky english version or other language that you preferred,then applied product key on it.